Shop online for 40 itty-bitty model trains at discounts up to 16%. Track / Accessories is the most popular of the 3 itty-bitty model trains categories, then Lighting / Electrical, and Scratch Supplies. 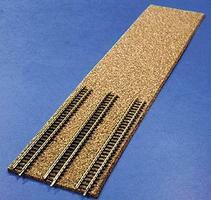 This is the Z Scale Cork Roadbed Single Track 18'' (5) from Itty Bitty Lines. This is the N Scale Precut Cork Roadbed Section Right Hand Turnout Small & Medium Radius (2) from Itty Bitty Lines. This is the N Scale Precut Cork Roadbed Section - Left Hand Turnout - Small & Medium Radius (2) from Itty Bitty Lines. 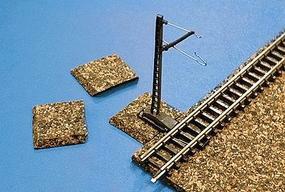 This is the Z Scale Cork Catenary Mast Pads (10) from Itty Bitty Lines. 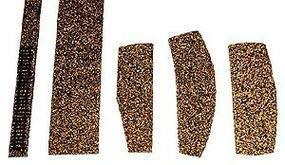 This is the N Scale Precut Cork Roadbed Sections - Left Hand #8 Turnout pkg(2) from Itty Bitty Lines. This is the N Scale Precut Cork Roadbed Section - Right Hand #8 Turnout pkg(2) from Itty Bitty Lines. This is the N Scale Cork Roadbed for 30 Degree Crossing from Itty Bitty Lines. 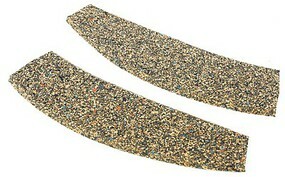 This is the N Scale Precut Cork Roadbed Sections - Multi-Track Yard Pads (3-1/2 x 12'' 8.7 x 30cm) pkg(2) from Itty Bitty Lines.